We are standing at the threshold of an Industrial Revolution. The First Industrial Revolution utilised water and steam to power machines that led to increased production. The Second Industrial Revolution went on to bring about mass production through the use of electrical power. The Digital Revolution that started in the mid-twentieth century is the Third Industrial Revolution. It has utilised electronics and information technology to automate production. So what is the Fourth Industrial Revolution and what will it bring to the world? Just as the previous Industrial Revolutions have been building on one another, so the Fourth Industrial Revolution is building on the Third. Through the fusion of different technologies, it is bringing forth new technologies that are blurring the boundaries between the physical, biological and digital spheres. The breakthroughs in this area are happening at great speed and are impacting almost all existing industries. New technologies are emerging in the fields of robotics, artificial intelligence, 3-D-Printing, the Internet of Things, autonomous vehicles, biotechnology, nanotechnology, quantum computing and energy storage. Together with the already existing technologies, the possibilities these new technologies bring are seemingly endless. 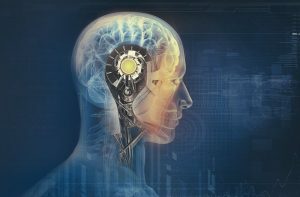 Artificial Intelligence has already established itself in our everyday lives. We have translation software, virtual assistants, investment software and software that learns about our consumer preferences, corrects our spelling and suggests what we want to write. Drones are widely used and self-driving cars are beginning to appear on the roads. AI and biotechnology are challenging us to redefine our moral and ethical boundaries and what it means to be human. As human beings we are challenged to take responsibility for this evolution and influence the course it takes with the decisions we make in our everyday lives. While the Fourth Industrial Revolution has the devastating potential of robotising humans and robbing them of their soul-life, it also holds great promise to complement the best parts of human nature. It’s up to us, what we make of it.